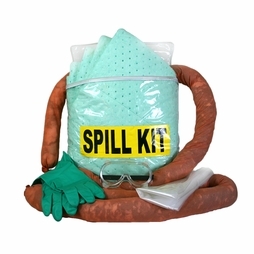 Whether you're a logger here in the Pacific Northwest (PNW), or whether you work in some other construction field elsewhere in the country, the fact remains that you are responsible for containing your own oil spills, or leaks of any other hazardous chemical for that matter. That is why we partnered with CEP Sorbents--to offer our customers the best spill containment products at the best prices. 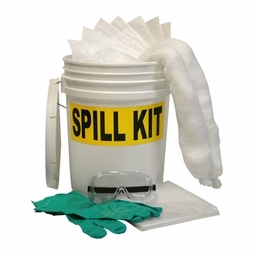 Spills can happen anywhere, which means you need to be prepared at all times. 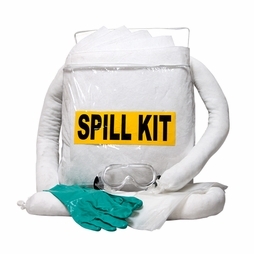 To that end, we offer many different spill containment products, and none are more popular than our complete spill kits. 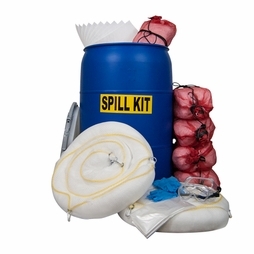 For starters, we offer the Truck Spill Kit, which collapses into a small enough form to fit behind the seat, or maybe under it. Or, cram it into the truck box in your bed, whatever works. 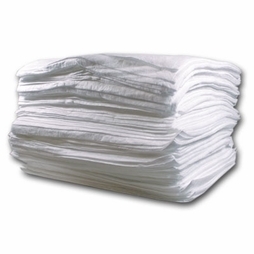 It is quick and easy to deploy and contains enough pads and socks, along with PPE gear, to allow you to respond quickly to small spills. 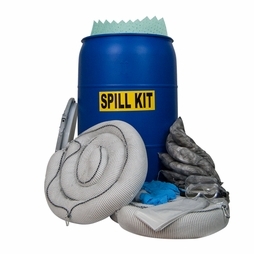 One step up from there is our 5 Gallon Spill Kit, which is our best-selling model. 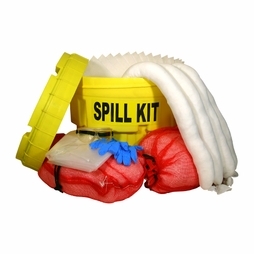 The bucket is tough and easy to tote around, and this kit is similar to the truck kit in that it's just enough to allow one to quickly respond to a small spill. 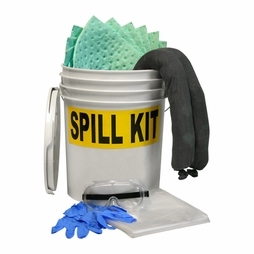 But if the spill is bigger, or if the threat of a large spill is more imminent, then we recommend our larger 55 Gallon Spill Kit. 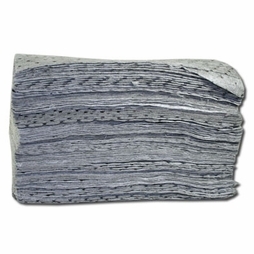 This kit has enough sorbent material to handle medium-to-large spills, including multiple pads, booms and pillows. And the drum is useful, even when the kit is empty. 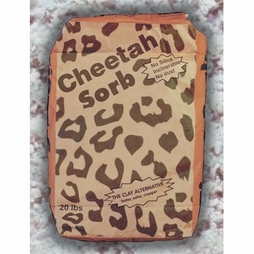 Or, let us order a refill kit for you! 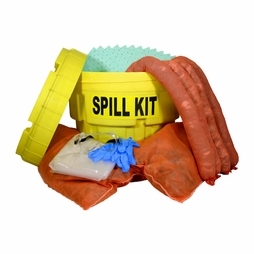 Please note that all of the kits highlighted above are available as "Universal" or "HAZMAT" kits, meaning they will absorb all fluids, not just oil based fluids. If you do not see what you're looking for, please let us know. 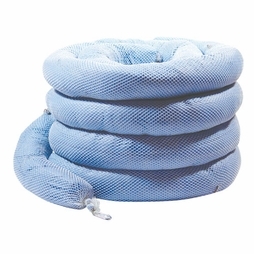 And click on the PDF catalog link at right to browse CEP's full line of spill containment products.